The restaurants at West Coast Plaza has been changing so often that I kind of lost tracked who was the previous occupant that the current Thonglor Thai Cuisine & Seafood occupies. If I am not wrong, this is their second outlet after the their flagship restaurant at Ang Mo Kio. Since its new in the neighbourhood, I decided to drop by for dinner. The Thai Stir Fried Kang Kong ($6.90) was pretty well executed with the right note of spiciness, lifted by the fragrant dried shrimp in the sambal. 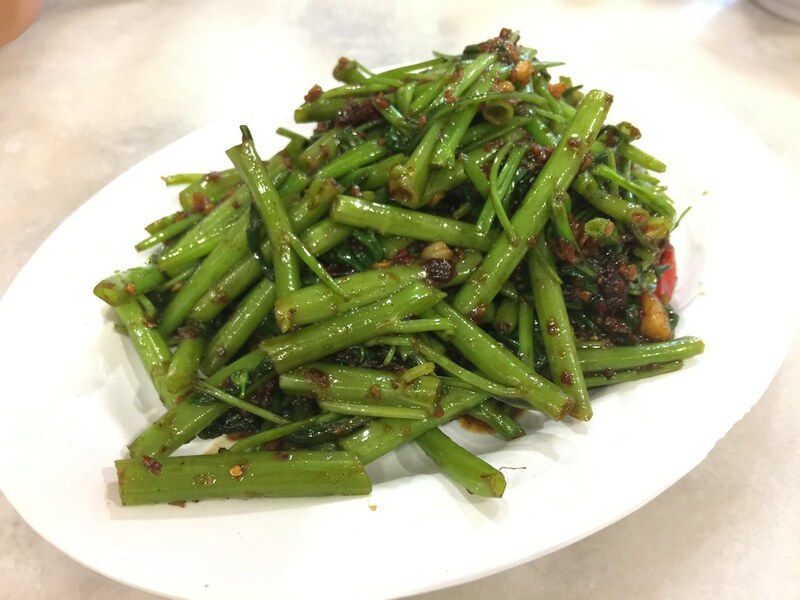 The greens also retains a delectable crunchy texture. 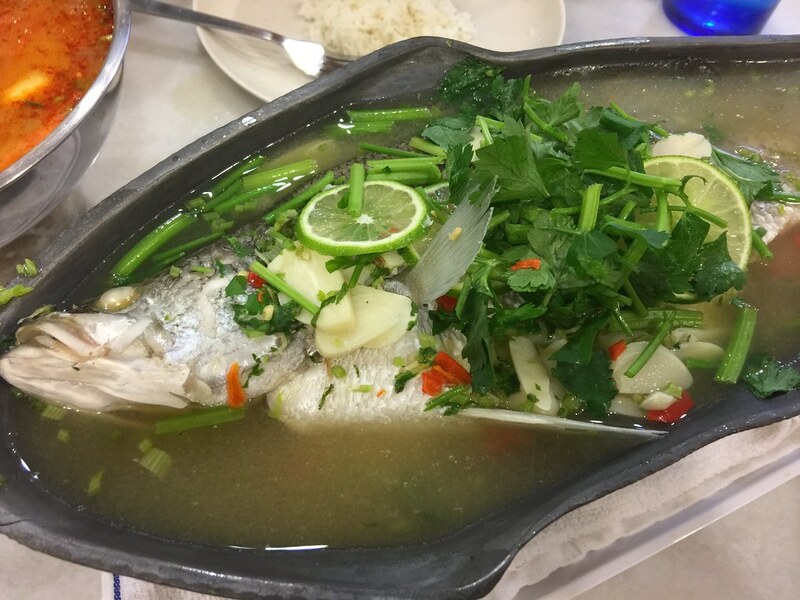 For the price of the Tom Yum Seafood Soup ($8,90). the portion is pretty generous with a variety of seafoods. The size of the prawns are quite big too. Where that is the up side, the soup is lacklustre. 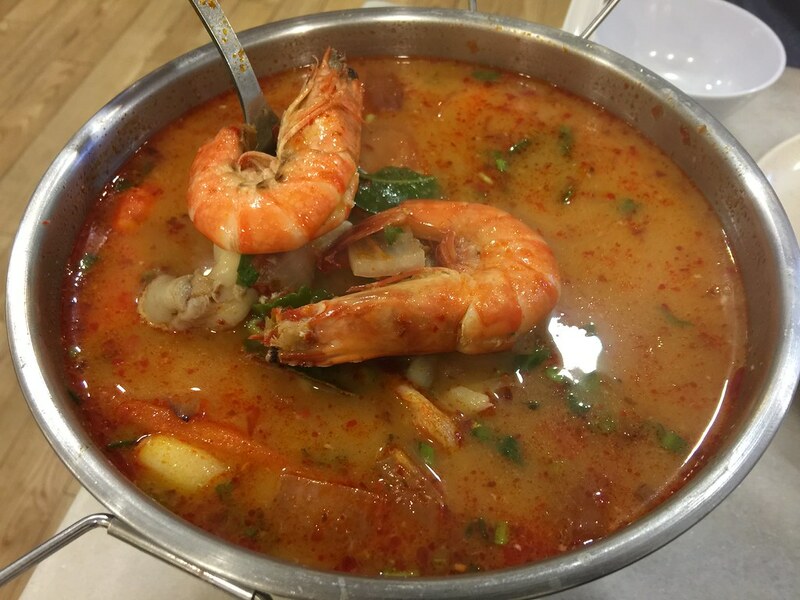 It lacked depth and the characteristic flavours of an authentic tom yum soup. 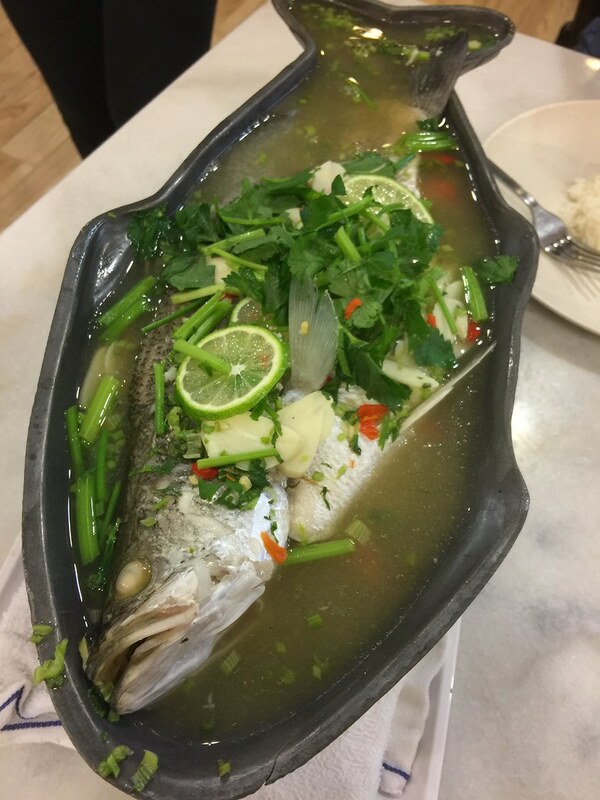 The Steamed Seabass with Lemon Sauce ($19.90) is a favourite dish that I always order when I dine at Thai restaurant. While the seabass was fresh and sweet, I was let down by the lemon sauce. I can only taste the lemon flavour. It is missing the spiciness and sweetness in it that makes me fall in love with this dish. Sad to say I am not impressed with the food at Thonglor Thai Cuisine. 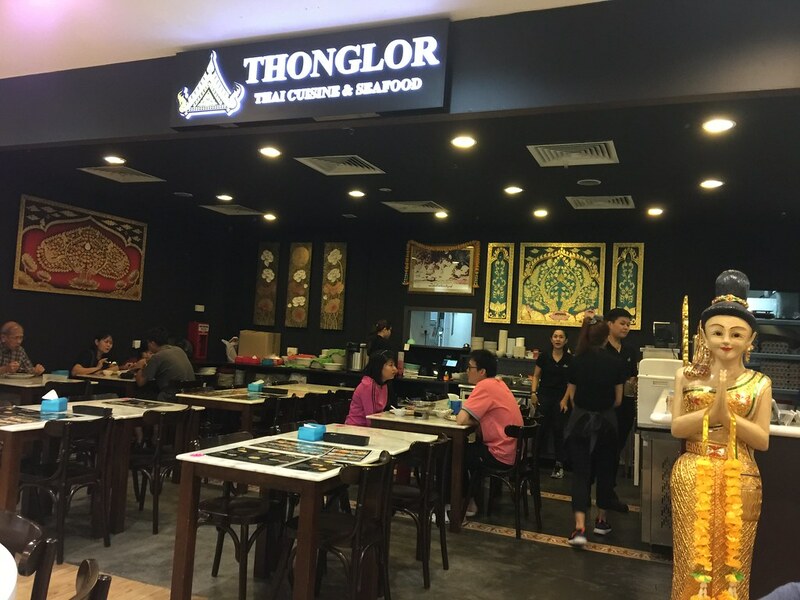 With competition in the vicinity such as Nakhon Kitchen and Na Na Original Thai Food, I would rather give Thonglor a miss. If the jinx at West Coast Plaza continues, I suspect I would see another new tenant soon.